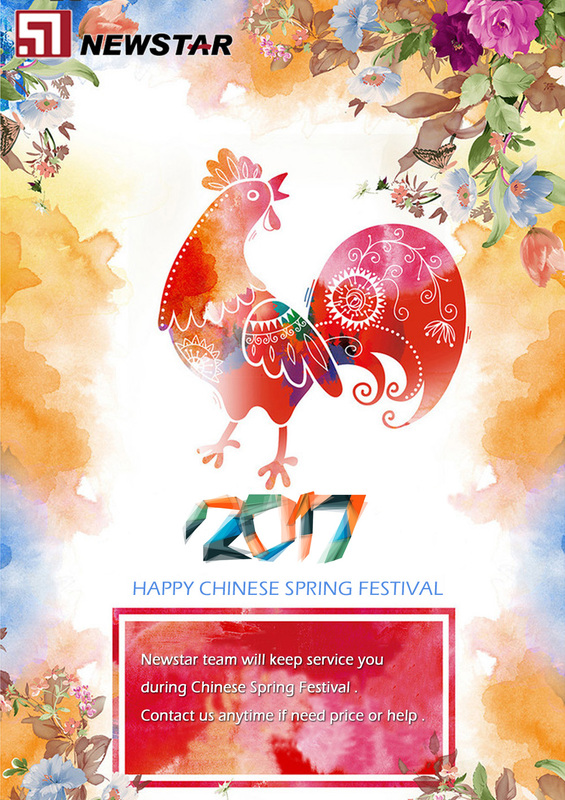 We'd like to use our Presiden Mr. Xu jingping��s speech , In January 28th, Chinese people will spend Spring Festival of the Lunar New Year(CHINA NEW YEAR), that is the year of the Rooster Year. Rooster year meaning bright and auspicious. "Golden Rooster sings dawn door." Newstar wish you all a happy new year and all the best! By the year, during our vacation, we are working hard also. If you have any order or Enquiry about products ,welcome contact us!